In Midnight at the Library, critically-acclaimed author, Ursula Dubosarsky, and award-winning illustrator, Ron Brooks, traverse space and time, telling the story of a book throughout history. Dubosarsky and Brooks piece together the story of a book that was opened and loved, given and taken, closed and lost, found and forgotten before being discovered, uncovered and preserved at the library. Beautifully written and splendidly illustrated, this is a story about the inception, creation and preservation of books and culture. This enchanting children's book has vast educational potential and is sure to captivate the hearts of book-lovers across the nation, encouraging them to find their own book of wonder. 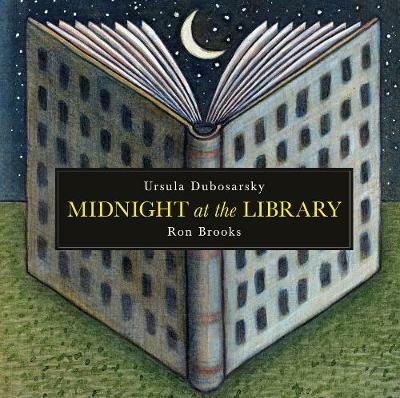 Brilliantly evocative and exceptionally engaging, there is something undeniably magical about Dubosarsky and Brooks' timeless and ageless story, Midnight at the Library.